Much of New Mexico’s beautiful landscape has been protected and enhanced by one of the best federal programs you’ve probably never heard of: the Land and Water Conservation Fund (LWCF). Created with bipartisan support more than 50 years ago, the LWCF has pumped millions of dollars into our state’s national parks and monuments, wildlife refuges, community parks, hiking trails, and even ball fields. The LWCF has done more to protect precious landscapes, wildlife habitat, open space, and healthy waterways, and develop recreation opportunities than any federal program in American history. Just a couple of years ago, the LWCF gave hikers and other outdoor enthusiasts another reason to visit our state by providing money for expanding public access into the rugged and stunning interior of the Rio Grande del Norte National Monument and in support of the recently designated Organ Mountains-Desert Peak National Monument. The LWCF has also supported the Valles de Oro National Wildlife Refuge in Albuquerque’s South Valley, which provides urban families and kids easy access to outdoor recreation. More recent initiatives such as the Rio Grande Trail, running from the southern Colorado border to the Mexican border will also benefit from continued funding. Beyond enhancing access to and conservation of our national public lands, LWCF has also benefited state parks in New Mexico, including, Elephant Butte Lake, Mesilla Valley Bosque, Eagle Nest Lake, and City of Rocks. Locally, nearly every municipality in our state has used the LWCF to create or improve city parks. It’s very likely the LWCF has benefitted the park where your family goes to picnic or your kids play on the swings or your dog stretches its legs. One of the reasons this program has long had bipartisan support is that no taxpayer dollars are used for the LWCF so it does not add to our nation’s debt or burden our communities. The program receives its funding via royalties paid by oil and gas companies that are drilling offshore. Sadly, Congress allowed the LWCF to expire at the end of September. Since then the LWCF has lost more than $150 million because the oil and gas royalties are no longer being deposited into the fund. And, unless Congress acts in December before adjourning until 2019, the fund will likely continue to lose funds for months to come. New Mexico is fortunate that many members of our congressional delegation understand the LWCF’s win-win benefits and have worked hard to protect the program. Both Senators Tom Udall and Martin Heinrich have been leaders in the fight for the permanent reauthorization and full funding of the LWCF to ensure that our outdoor heritage and public lands will be protected for future generations to enjoy. Unfortunately, the Trump administration has shown no interest in continuing the LWCF’s legacy and, before the LWCF was allowed to expire, had proposed reducing its funding by more than 90 percent. Still, Congress needs to revive the bipartisan spirit that has characterized the LWCF since its inception, and come together to reauthorize and fully fund this great provider of public lands access and enjoyment. And they must do so before they take their winter recess. 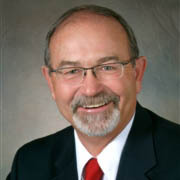 Nathan Cote served three terms in the New Mexico House of Representatives, beginning in 2006, representing District 53 in southern New Mexico. He is on the Board of Directors for New Mexico Voices for Children and on the transition team for Commissioner of Public Lands-elect Stephanie Garcia Richard.